My story Fight Night has been accepted for publication in the upcoming anthology 20Spec (working title) edited by Erika Holt and Jaym Gates and will be published through Absolute Xpress (the same publisher of Women of the Apocalypse). Jaym and Erika are the same crew that brought you the strangely compelling Rigor Amortis (romance meets zombies). 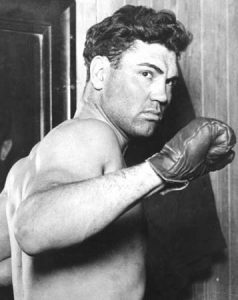 Fight Night tells the story of Jack Dempsey, heavyweight champion of the world, battling his toughest opponent yet: Sam The Magnificent Mauler Madison, a no-good cheat. As the stakes increase, Jack realizes his opponent will stop at nothing to win. So what is 20Spec? From their own mouths (keyboards): Speculative stories set in the grit and glamor of the Roaring 20s. Think gangsters, the Klan, and political upheaval; the rise of communism and fascism. Women’s suffrage, androgynous fashion, and bootlegging. Jazz and speakeasies; ”The Diamonds as Big as the Ritz.” The rise of the Machine Age– radios, Model-T Fords, and mass-production. Hyper-inflation and excess. Tell decadent stories that take place after dark, far from home, in abandoned stills. And don’t be afraid to travel abroad. Europe, Asia, Africa– anywhere is fair game! Congrats Ryan. Looking forward to this one.